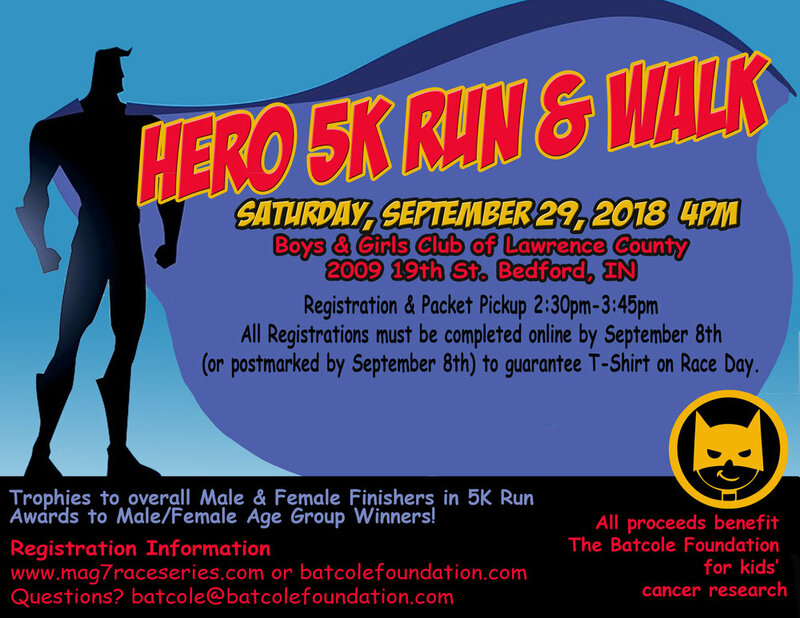 It's time for the Batcole Hero 5K Run and Walk! New this year are more age groups for our younger runners! So, grab a friend and come walk and run for us, and support kids' cancer research!